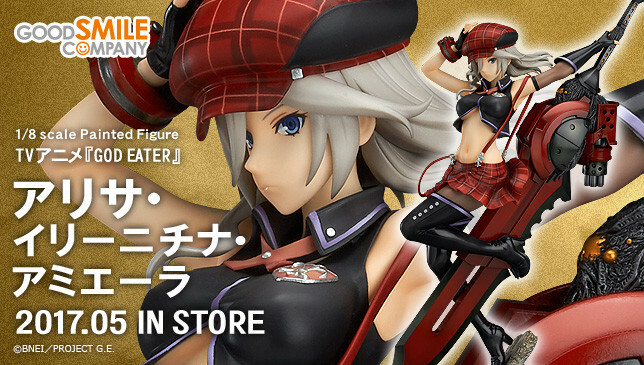 The Russian Beauty and New Type God Eater, Alisa Illinichina Amiella, is receiving another figurine. This time Good Smile Company is looking to bring her to your collection. 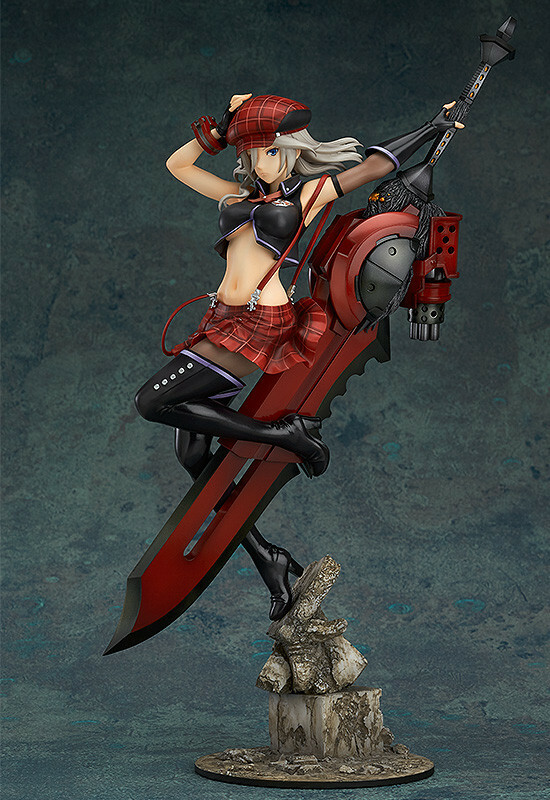 From the anime series ‘GOD EATER’ comes a 1/8th scale figure of the Fenrir Russian Branch God Eater, Alisa Illinichina Amiella! 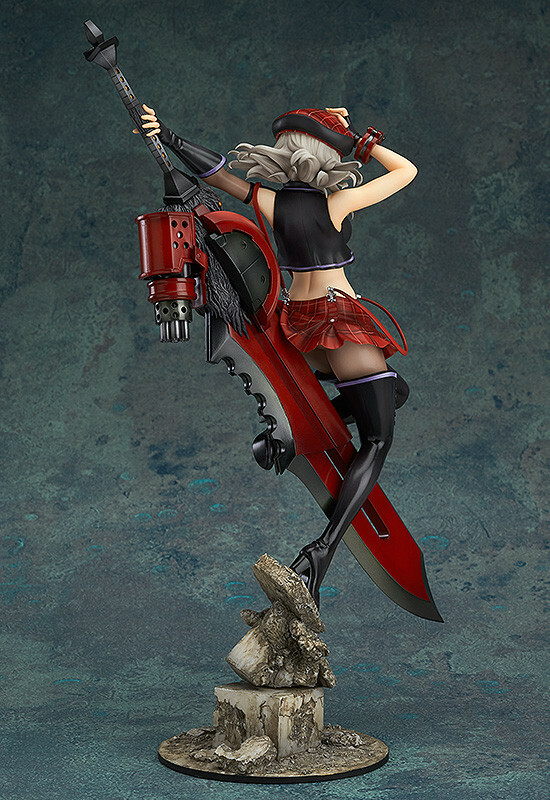 She has been sculpted based on her pose from the anime series’ main key visual, carefully keeping her high-minded, composed appearance intact in figure form. The sculpting on her huge ‘God Arc’ has also been carefully detailed to give the figure a striking appearance that can’t be missed! Alisa showcases amazing balance in this figure, standing on one foot on a pile of rubble. She is shown holding her trademark red God Arc and is dressed in her usual attire from the first game that we all know and love. You can check out some pictures of the Russian Beauty’s new figure below. The pose given to Alisa and the amount of detail put into her clothes and God Arc show that Good Smile Company is really trying to set her apart from the other figures made for her so far. The figure looks great, the pose looks like it was difficult to sculpt, and the amount of detail put into her God Arc and outfit is outstanding. Good Smile Company really hit the ball out of the park with this one. 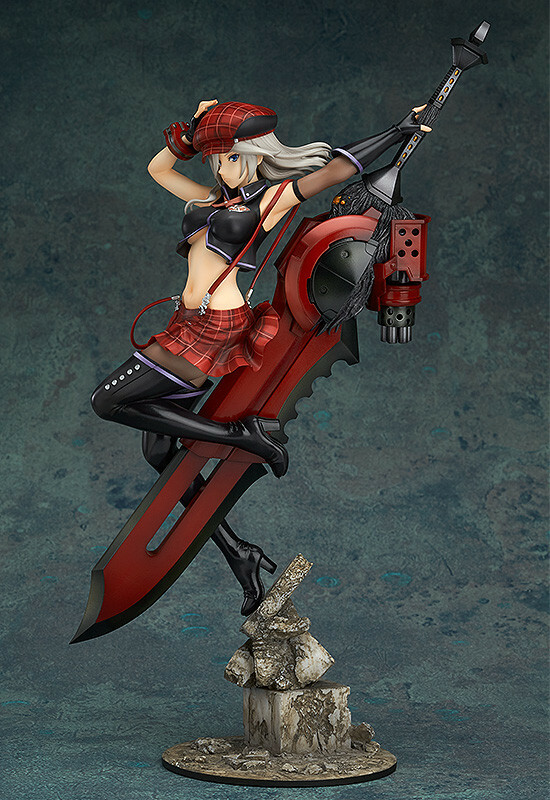 She is a definite must have for God Eater fans and collectors of figurines. Good Smile Company’s Alisa Illinichina Amiella figure is 1/8th scale and stands approximately 22 cm tall. She was sculpted by POLY-TOYS and painted by Iwabitsu. You can pre-order her now from J-List HERE. Are you ready to take Alisa home with you?